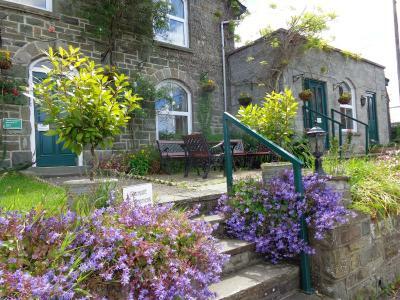 Lock in a great price for The Cedars – rated 9 by recent guests! Room was a great value for the money and very comfortable for a family of 4. Bathroom was extremely small. A perfect place to stop for a night or two. Breakfast was very good. Owner was very sweet and welcoming. Very friendly owners. Nice breakfast. We were fishing on the Wye and the location was perfect and good value for money. The owners were very friendly, helpful ( in an unobtrusive way)and made our stay an enjoyable experience that we will definitely be repeating! The wife and husband team running the Cedars were brilliant. They were both kind and courteous and very helpful. They made you feel very welcome from the time the door was answered. A most enjoyable stay. Lovely welcome from Jo + Lee , very helpful . Cosy warm + clean room with tea + coffee facilities + en suite small but adaquate Had choice of breakfast which was nice , great location for walking to the town + big free car park . Staff were so lovely and friendly. As a lone female travelling I felt very safe here. Warm welcome, owners were friendly, nothing seemed too much trouble. Location, facilities in town. Plenty of off road parking. Hosts are very nice & friendly. Each room here will provide you with a flat-screen TV with FreeSat and tea/coffee making facilities. Each room has an private bathroom, with shower and complimentary toiletries. Breakfast is served each morning, with continental breakfasts, vegetarian option, cereals, yogurts and juices. 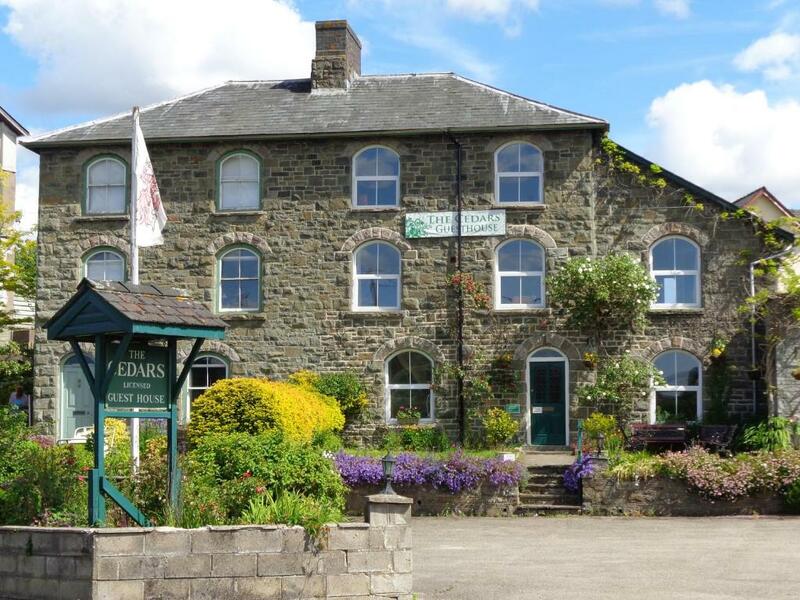 Guest house Cedars is 1 miles from the Royal Welsh Showground, 14 miles from Elan Valley and 26 miles from Brecon Beacons National Park. When would you like to stay at The Cedars? The Cedars was built in 1838 to support the increased tourism from visiting Victorians looking to "take in the waters". 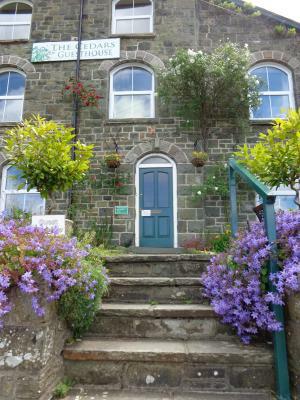 Its made out of Welsh stone and is situated perfectly with views over the hills and within easy walk of the town. House Rules The Cedars takes special requests – add in the next step! The Cedars accepts these cards and reserves the right to temporarily hold an amount prior to arrival. Nothing really. Room a little underwhelming. Lee and Jo excellent hosts as usual. Easy to find, comfortable, great nights sleep! Bathroom quite small & shower old. Would prefer pot of coffee at breakfast to hot water urn & instant coffee packets.